Simple straight pencil skirt that can be made plain or chevron using striped fabric. Features a fold-over or a simple straight waistband. Wear the yoga waist up for more coverage and support (high-rise), or folded down for a low-rise look. 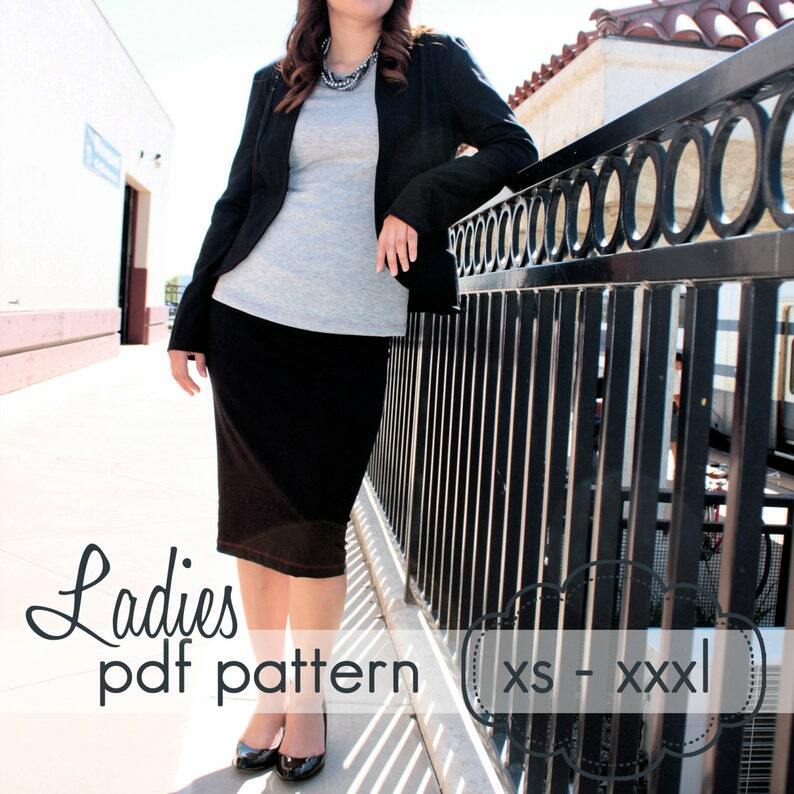 You will receive: ONE (1) pdf sewing pattern with 17 pages of step-by-step sewing instructions (17 steps and 32 illustrations and color photos) and 8 pages of patterns to guide you along as you make a Ladies Knit Pencil Skirt. Combine with the Ladies Basic Leggings to create a skort.